Wearsafe is a newer product to hit the shelves at Philadelphia Runner. I bought one and haven’t had to use it yet for anything - which is good! It is very small, discreet, and easy to put on my key chain, shirt, or shorts. The hardest part about setting it up was unscrewing the back to put the battery in! I just downloaded the app and put in my friends and family as my emergency contacts. Hooked it onto my keys and carry it wherever I go. Here's a quick rundown on what Wearsafe is and why you might want to pick one up! WHAT? 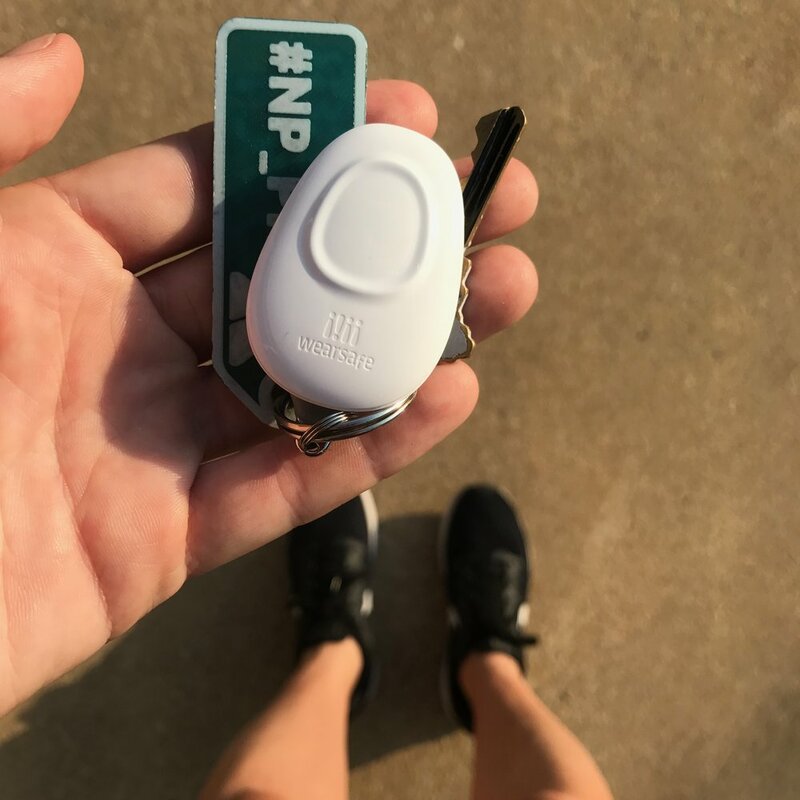 Wearsafe, also known as “Tag” is a key fob that works via bluetooth as a personal safety device. It sends your friends and family your location, live audio and creates a chat to coordinate a plan to help you out. WHERE? Wearsafe can be discreetly placed on your keys, shorts, shirt, bag, anywhere! Comes with a keychain and clip to put on your clothing. WHY? For personal protection during running. 77% of runner’s train alone. 33% of women have been harassed while running alone. Safety has no cost! WHO? Anyone, any runner! Male, female, teens, people with medical conditions - whether you’re running, walking or doing any type of activity. HOW? Via bluetooth within 200 feet range of your smartphone. Which means you will have to have your phone with you. It is one simple press of a button- it notifies your trusted network that is set up in the Wearsafe app. It is easier to press than to fumble with your phone. The Wearsafe retails for $30 with 6 months of free service, then $5/month after the trial! The app is free to download for you and your network. Check it out at all Philadelphia Runner shops. Newer PostWho We're Running With: O.P.A.C.